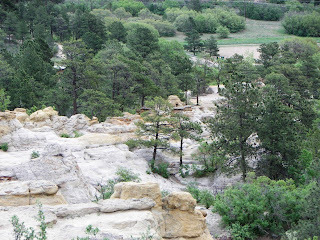 After just a couple of visits to the Physical Therapist, my knee was feeling up to a hike in Palmer Park. Bill and I headed out in late afternoon. I had the binoculars and Bill had the camera - so these pictures are his. I keep telling him he needs to start his own blog! 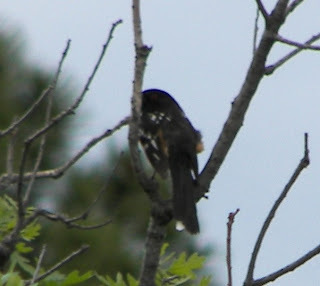 My goal was to get a decent picture of the Spotted Towhee that we saw in the Park when my camera was in the shop. We headed up a deer trail on the side of the bluffs following a Towhee who was singing in the thick brush ahead. 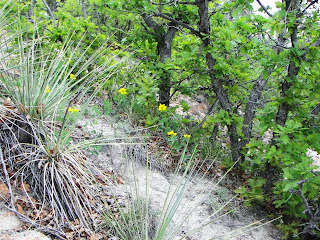 The wildflowers were beautiful - but the Yucca was sharp! 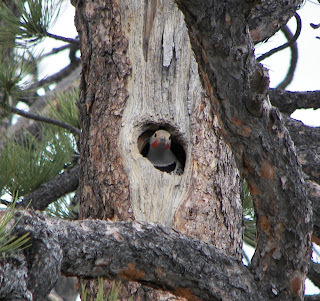 Along the unmarked trail we spotted this Northern Flicker sitting in his nesting cavity looking out on the beautiful view below. It was really hot, so we sat on some boulders and joined him for awhile. All I needed was a cold drink. This was the best of the pictures of the Spotted Towhee that would fly ahead just as we got close enough for a good look. 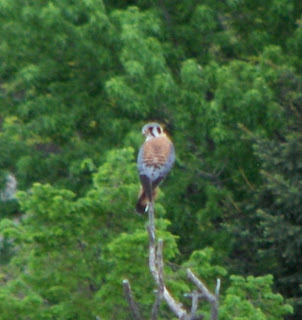 In the valley we spotted this American Krestrel - the first one I've seen and identified in the park. This is a small but very colorful hawk that eats lots of grasshoppers. This is the other hawk we spotted. 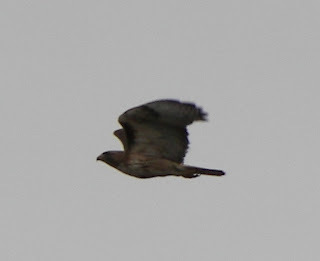 I think it's a Red-tailed Hawk - but I'm not sure. After we reached the top of the bluffs, the weather changed - dark clouds were boiling in the sky, the wind picked up and we could feel cold, refreshing rain starting to fall. Since we did not want to be on top if it started to thunder and lightening, we quickly headed down. Early the next morning we headed out again. This time I had the camera! Two deer were out for their morning walk. They crossed the path not 10 feet from where we were standing and I got lots of pictures. 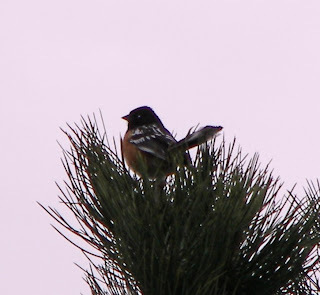 Further up the path, I was finally able to get some decent shots of the Spotted Towhee. 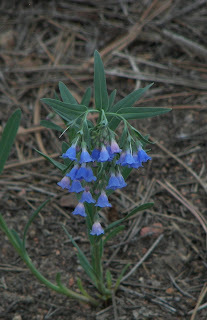 They are abundant in the park and you can hear them singing throughout. 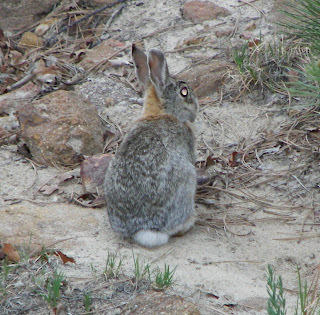 I wish I could coax them into the yard! We are fortunate to have this beautiful park in our neighbor-hood. 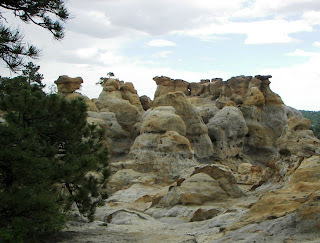 It's big enough that we always see something new and can hike on a multitude of well-marked trails. Once inside, you would never know you are in the city. 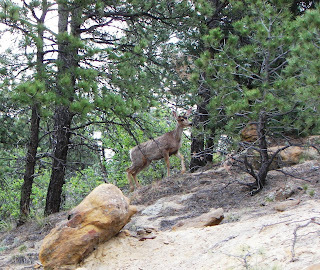 There is always lots of wildlife. 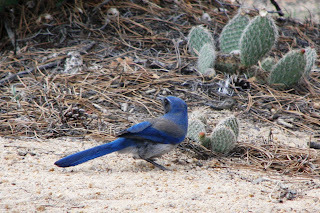 Check out this beautiful Western Scrub Jay. As you can see from the cactus, Colorado Springs is high desert. We have almost as many sunny days (over 300 a year) as southern Florida. My last picture of the day. 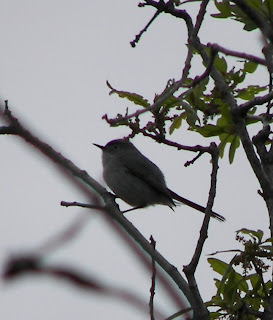 I think it's a Blue-grey Gnatcatcher, but I'm not positive as my camera won't let me zoom in close enough for positive ID. I really need a new camera! 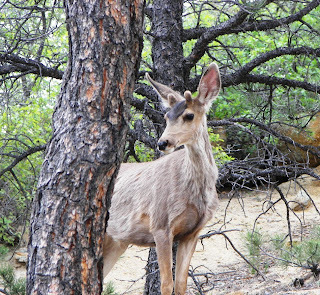 LOVE all your wildlife pictures!! I must get out west again -- you are just trying to tempt me! !